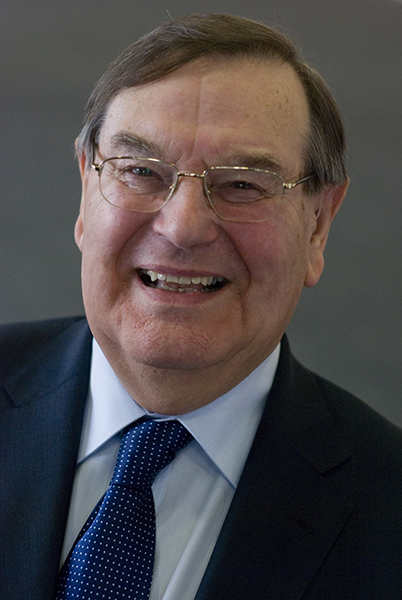 For over 60 years he has been at the forefront of music education, including as Staff Inspector of Music for ILEA, Vice Chair of the Music Working Group for the National Curriculum and as a music education advisor to the Royal Opera House, Wigmore Hall, London Symphony Orchestra, Trinity College of Music, Youth Music and many other organisations. “There is a great reservoir of latent musical talent in our schools, conservatoires and universities and I have been privileged to see that develop over the last sixty years. That talent flourishes when music educators and professional musicians come together to support, nurture and inspire – but most of all to make music together. Orchestras, bands, choirs and ensembles representing every genre and style can be heard in schools where governors and head teachers have ensured that music is firmly rooted in the curriculum. The National Plan for Music Education has now replaced a Music Manifesto and ‘Music Hubs’ is the latest jargon for partnerships and collaborations between teachers and professionals. With a reducing level of public funding from the Arts Council, the Hubs are charged with seeking resources elsewhere; a daunting task in present economic circumstances. Maintaining opportunities for today’s young musical talent to be encouraged and developed is going to present a greater challenge than that known to previous generations of music educators. John will be presented with RPS Honorary Membership at the LSO Discovery Celebration Concert on 28 June at the Barbican, surrounded by music makers from local schools and musicians of the London Symphony Orchestra. Jeff Moore’s ‘River Journey’, commissioned by John Stephens especially for the LSO and primary schools close to LSO St Luke’s, opens the programme. Kolkata June 21, 2012: On World Music Day, music aficionados of the city got a glimpse of the Victorian era masterpiece – the grand pianoforte on which the Queen Victoria honed her skills – after it was put back on display at the Victoria Memorial Thursday. The instrument, carved out of rosewood and manufactured by noted French piano makers Sebastian and Pierre Erard, was put inside a glass case at the Royal Gallery of the museum after a gap of almost two decades. As Diamond Jubilee fever sweeps through England and the country is engulfed by bunting and Union Jacks, what better time to give a nod to the RPS’s royal affiliations – the clue, after all, is in the name. The Society gave its first concert “under the immediate patronage of His Royal Highness the Prince Regent” in 1813. Many members were chuffed to see the court and aristocracy in attendance at the Society’s early concerts. The financial benefits of this patronage, however, were questionable; His Royal Highness was not even expected to pay for his ticket. The Dukes of Cumberland, Sussex and Cambridge also regularly made appearances; the last was known to be passionate about music, in particular that of Bach. As it happens, the current Duke and Duchess of Cambridge chose to kick off their wedding last year with a bit of JSB too, suggesting good taste in music as well as dresses. Monarchs have come and gone (albeit not particularly quickly, as this weekend’s Diamond Jubilee celebrations cheerfully bear witness to!) but the Royal Philharmonic Society, soon to celebrate its 200th year, has endured. In recognition of its centenary year in 1913, the Society was granted official permission to add Royal to its name. It now enjoys the immediate patronage of Her Majesty the Queen, to whom the RPS sends the warmest wishes on her Diamond Jubilee! 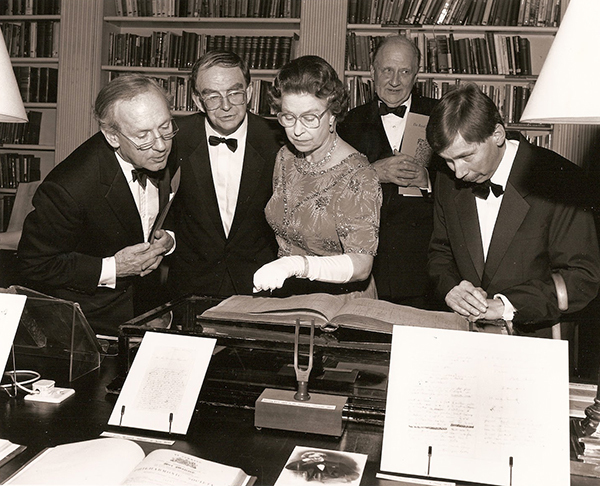 In 1988, as the Society celebrated the 175th year of its foundation, Her Majesty even came to see some of the items in the RPS archive. Here she is taking a good look. With the Jubilee concert and the Thames Jubilee Pageant to look forward to this weekend, it looks like Her Majesty is helping to sound the trumpet for music! The promise of a four-day weekend, it seems, is temporarily doing away with good old British cynicism, so I’ll be joining in the fun and games, even if we haven’t stretched to bunting in the office.